Q: What are the common problems within your industry? Chris: Corrosion is the most common issue in the Oil and Gas industry, particularly in subsea applications. Along with corrosion, lubricity for metal on metal surfaces also poses a problem. Many steel components are exposed to harsh environmental conditions that cause galling and overall component failures. Corroded threaded fasteners and other large componentry cause massive down time and costly maintenance. Q: How do Teflon™ coatings solve these problems? Chris: We have a series of coatings that prevent corrosion and provide enough slip to prevent galling that frequently occurs on threaded bolts, fasteners, and large oil and gas equipment. Q: What is one specific coating or coating system that has impressive resistance against corrosion for oil and gas industry applications? Chris: The 857G series has impressive corrosion resistance at very thin levels. Depending on your basecoat, achieving 3000 hours of salt spray is possible with the 857G at a thickness of only .8mils. 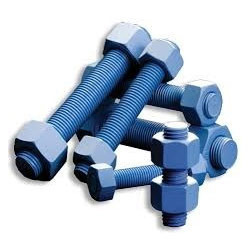 This coating is also resistant to hydraulic fluids, aggressive rig wash products, has very good UV stability, and has a consistently lower coefficient of friction than uncoated threaded components and fasteners. 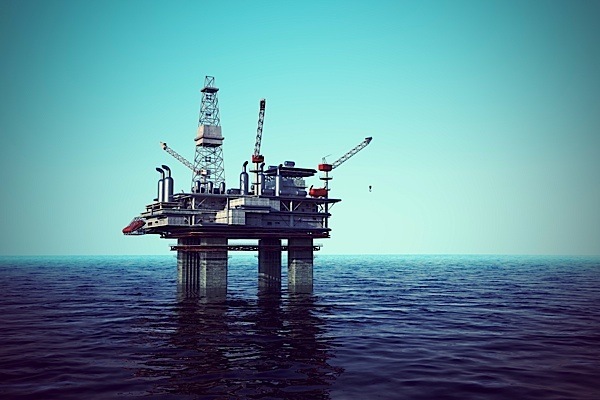 Chemours developed a water based coating series specifically designed for Oil and Gas applications. These one coat systems can be coated as thin as .8mils but can be coated as thick as 4.5 mils to prevent corrosion in harsh environments like the Gulf Coast, Northern Africa, the North Sea, and other corrosive coast lines. Q: What new coating applications are on the horizon in the oil and gas industry? Chris: Currently the R&D team is working to develop a cermet primer and topcoat system that will enable fasteners and other componentry to withstand upwards of 10,000 salt spray hours. Enhancing the coating system’s corrosion protection while maintaining a very thin build up is a constant challenge for the R&D team. Q: Are there new technologies in development for this industry? Chris: Chemours is currently evaluating how traditional coatings in the Teflon™ product line can replace linings and other exotic metal and coating systems to prevent corrosion. Chemours recently developed a process to properly apply corrosion protection coatings inside of very narrow diameter tubes. This process has the potential to save OEM’s significant money on existing applications. Q: What associations are you involved in within the industry? Chris: NACE, the National Association of Corrosion Engineering has been an excellent organization in understanding the latest industrial trends, test methodology, products, and applications that focus on corrosion protection. Regardless of the economy, rust never stops, and NACE allows the industries brightest engineers, chemists, and general technologist members to focus on preventing corrosion. If you may have any questions or inquiries for Chris about the oil and gas industry, email chris@intechservices.com or call (302)366-8530 x 103.